SERVING THE OTTAWA COMMUNITY FOR OVER 25 YEARS! Welcome to Heart & Crown Irish Pubs where good friends meet for genuine Irish hospitality. If you’re looking for good food, fun, or the warm company of friends, look no further! We have 11 great pubs in 5 locations throughout the Nation’s capital. 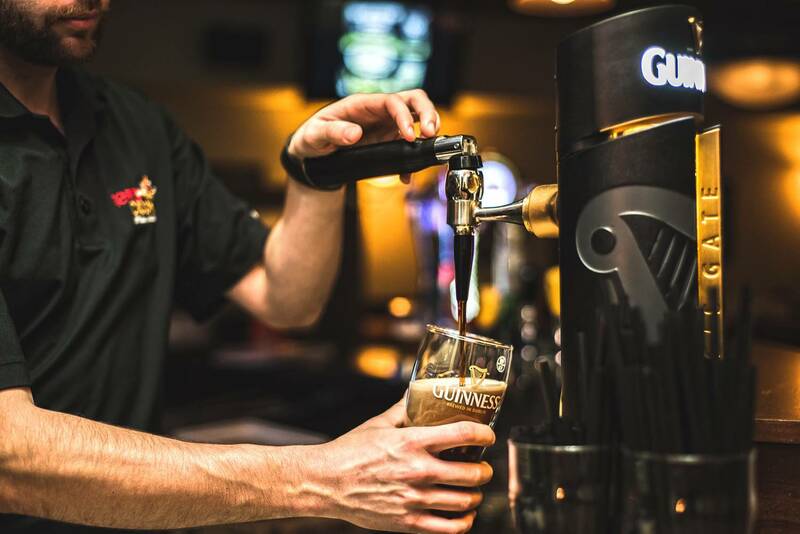 Proudly serving Ottawa for over 25 years, we provide the best in live entertainment, Irish inspired dishes and a vast selection of local & international beers, wines & spirits. Whether you’re looking for a night out on the town or a low key drink after work, you’ll always find what you’re looking for at a Heart & Crown Irish Pub! No matter what your age, your taste in music, whether you love sports or not, you’re always welcome. If you choose to eat hearty or healthy, if you prefer a sunny patio or a cozy indoor atmosphere, you’ll find it at one of our pubs. As soon as you walk through the door, our personable staff and cozy seating will make you feel right at home. Every pub is the real deal – an authentic Irish experience with an authentic Irish feel. Over the years, most of the furniture, bars, fixtures, and décor have been built in Ireland. Owners Larry Bradley & Pat Kelly both hail from Ireland and they’ve never forgotten their roots! YOU GIVE TO US. WE GIVE BACK. The Heart & Crown ByWard Market opened its doors for the first time back in 1992. Over the years, you’ve helped us grow into the company we are today. To show our gratitude, we support numerous charities across the city including the Bruyere Foundation, St. Pat’s Home and Fight for the Cure just to name a few. Every Christmas day, we host a traditional Christmas lunch for the less fortunate. For the past 24 years, we’ve served people in need; whether there are homeless, fallen on hard time or simply feel lonely, all our welcome to a free meal on Christmas day. Heart & Crown Irish Pubs is committed to providing equitable and accessible service to all patrons. call (613) 789-4928, or speak to a manager on duty at any of our locations.